I liked the location , so close to the bus station and not so far from the airport . Nice pool with animation team Friendly staff on the pool , great location on the beach . 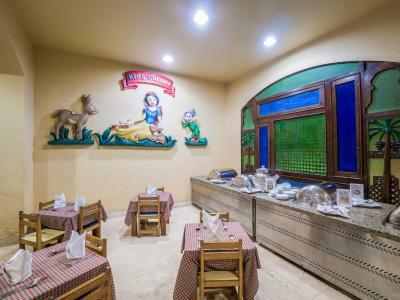 The chef's really very good, especially chef Abdul Rahman who makes the sweets really he is the best . I liked the staff kindness, location, spa. The pool is heated in spring which makes it easy to enjoy. A second pool is available for people who want to be quiet but it's not heated. I got the help from Dahy (0020101974490) to organize my trip to Louxor! Great day with a private car and a very impressive guide in louxor. No issues at all when you accept to drive twice 4 hours!! Worse the trip anyway! The location is amazing! I got my PADI as open water diver there and we also used the spa for 4 massages! Really cheap and relaxing! 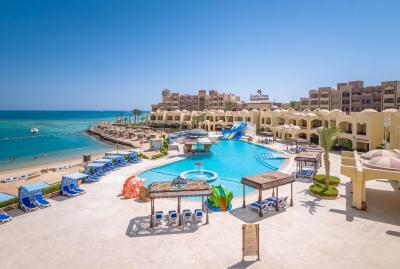 Staff were very helpful and friendly which is a common positive factor in Hurghada. Small nice sandy beach. 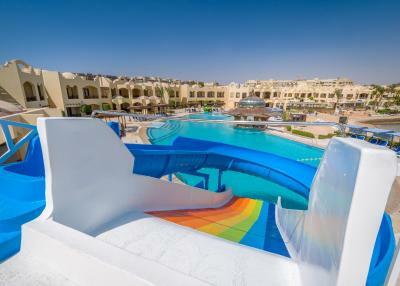 Sunny Days Palma De Mirette Resort & Spa This rating is a reflection of how the property compares to the industry standard when it comes to price, facilities and services available. It's based on a self-evaluation by the property. Use this rating to help choose your stay! One of our top picks in Hurghada.Located 1.9 mi from the center of Hurghada, this all-inclusive resort features a lagoon pool, a heated pool and a private beach on the Red Sea. 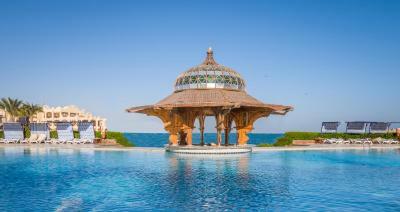 It has 12 on-site shops and a diving center. 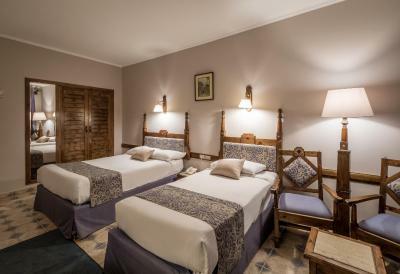 Guests in this property has access Beach Amenities at Sunny days Palma De Mirette Beach where all meals will be served. 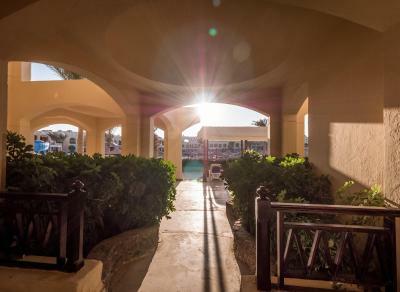 A private furnished balcony offering panoramic sea views is in each air-conditioned room. 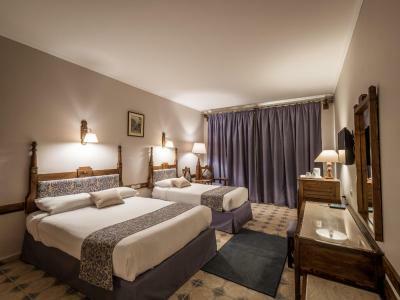 A satellite TV and a mini-bar are also in Palma De Mirette’s rooms. Sunny Days organizes Oriental-themed evenings with belly dancing, Tanowara dancing, and live music. Guests can enjoy a shisha water pipe in the Oriental Corner. 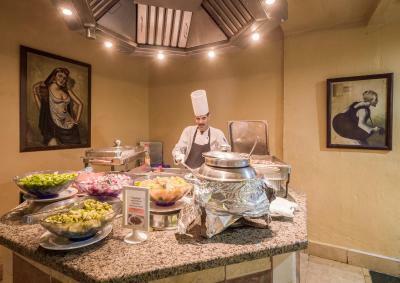 Seafood dishes, pizza, and international cuisine are served at the restaurants. 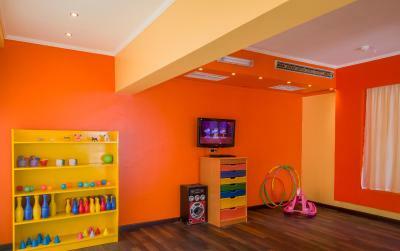 Guests can relax in the sauna or work out in the gym. 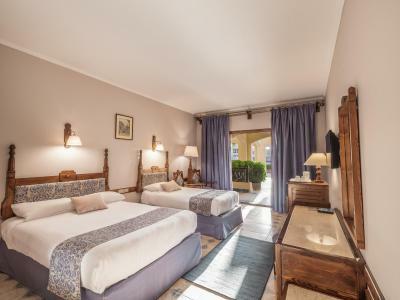 Palma also has 2 tennis courts and a games room with billiards and a ping-pong table. 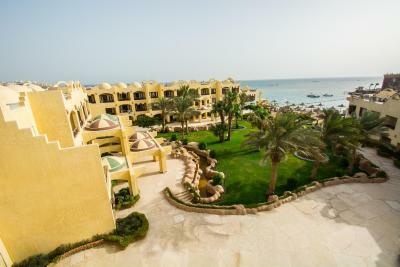 Sunny Days Palma De Mirette is 6.2 mi from Hurghada International Airport. 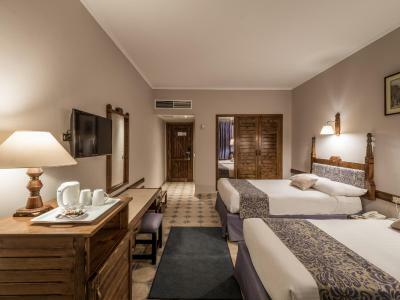 When would you like to stay at Sunny Days Palma De Mirette Resort & Spa? Air-conditioned room with a balcony or terrace overlooking the sea. It has a satellite TV and a safety deposit box. This air-conditioned room includes a balcony with sea view. It has a satellite TV and a safety deposit box. Air-conditioned room with a balcony or terrace overlooking the garden. It has a satellite TV and a safety deposit box. 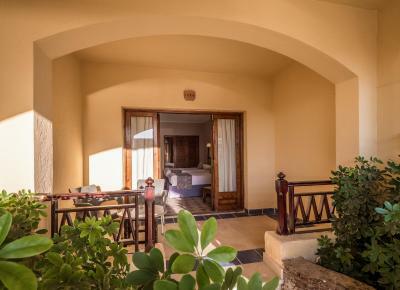 The Family Suite consists of 1 room with King bed, and 1 room with twin beds, both with sea view. 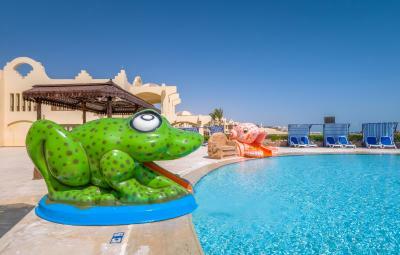 House Rules Sunny Days Palma De Mirette Resort & Spa takes special requests – add in the next step! Sunny Days Palma De Mirette Resort &amp; Spa accepts these cards and reserves the right to temporarily hold an amount prior to arrival. Sunny Days Palma De Mirette Resort & Spa accepts these cards and reserves the right to temporarily hold an amount prior to arrival. Please note that the restaurant's dress code is smart casual where athletic, sports uniforms, beach sandals and slippers are not allowed. 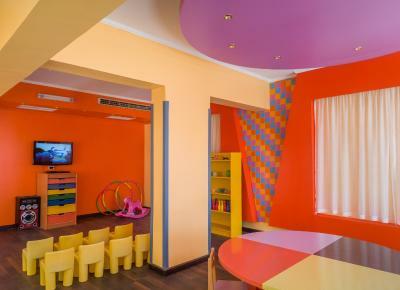 Maximum 02 children up to 06 years old share parents free in a Double room at existing bed while any child from 06-11.99 pay extra charge half adult rate. Glass cups for soft drinks are always not cleaned, it always smells very bad so you always have to ask for plastic cups instead. Toilets and sewage don't smell nice. Whe taking shower you smell unpleasant something. Food varities could be more than that especially lake of desserts. Calm place easy to enjoy swimming pool and the sea as they are so close to each other. Thé décoration is a Little old. 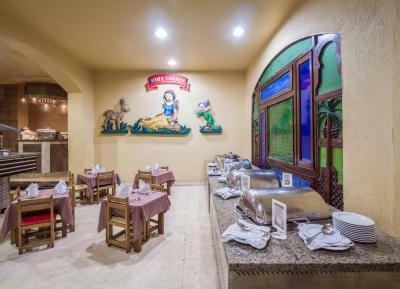 Hotel design, elegant room and comfortable, wonderful and above average animation team and bartenders are so friendly and nice, and lifeguard wael one of the most friendly. - No parking for my car, i left the car infront of the resort in the street. 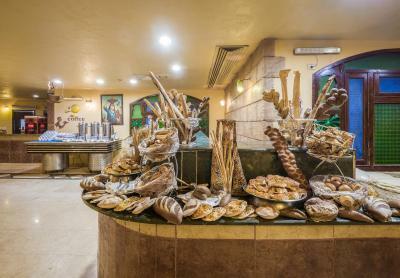 - The food restaurant entrance welcoming man, he is not helpfull and ask a silly questions ! - the housekeepers knocked my room three times in the checkout day, first time 9 o'clock, second 10 o'clock and he asked me you supposed to check out today and I need to arrange the room when you will go out ! I replied him I will check out at 12 o'clock as the resort policy , but he came back for the third time at 11 o'clock AM asking me did you finished !!! , I asked him to not come here again till I check out. The resort is old and not well maintained. All inclusive package is terribly poor. Restaurant is messy, Food is way below average and drinks always hot as if they don’t have fridges. Breakfast milk is diluted with water. Coffee taste like burn. They lake of a lot of ordinary cousins. Towels are shabby and old. Service for Egyptians obviously bad, impolite and inappropriate. Beach promotion guys are very disturbing. Over all it was my worst travel experience.